Emma Watson Updates: Emma Watson in 'Harry Potter and the Cursed Child' in 2026? Emma Watson in 'Harry Potter and the Cursed Child' in 2026? Last summer the eighth Harry Potter story hit the West End in the form of a two-part play, while fans who couldn’t get their hands on tickets had to make do with the script in book form. 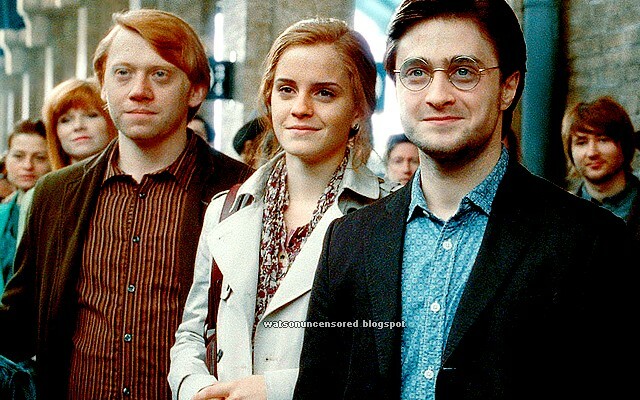 Then came the rumours that the play, set two decades after the last Harry Potter book, would become a film after Warner Bros filed for copyright on its title. Now a leak has revealed there are plans in the work for a Cursed Child movie trilogy to be just as epic as Star Wars. The source comes in the form of theme park journalist and historian Jim Hill, who has good contacts in the film departments at Disney and Universal. Speaking on the Unofficial Universal Orlando Podcast, the conversation turned to Harry Potter. He continued: “They want this trilogy of movies to have the actors that we know and love from the original films, that we watched grow up, as adults. Hill also revealed the expected release date of the first movie would be 2026, two years after the fifth and final Fantastic Beasts and Where To Find Them movie will be released. Warner Bros have previously denied there were any plans for a film adaptation of the Cursed Child play, as did Harry Potter and Fantastic Beasts director David Yates. However it is possible the studio could be keeping it all under-wraps while in the talk stage with the original cast.